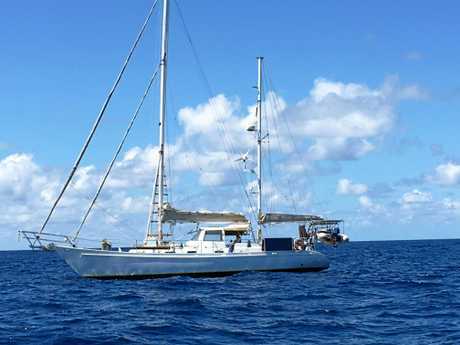 IT WAS a long trip for the crew on board the Volunteer Marine Rescue's Bundy Rescue as she went to the aid of two people stranded on a yacht near Fraser Island. 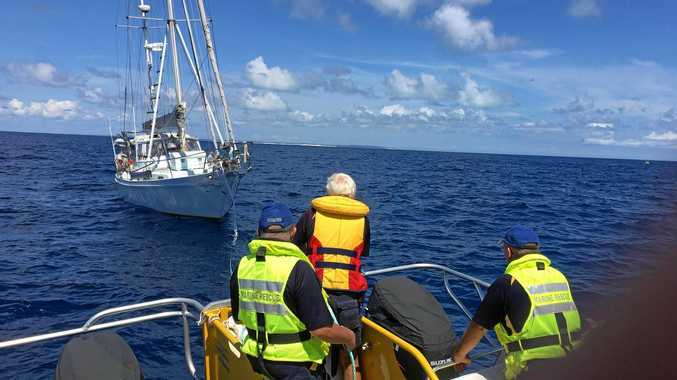 Volunteer Marine Rescue Bundaberg was called to help a 46' yacht that had a rudder and propeller entanglement, 50 odd nautical miles from Burnett Heads. "Bundy Rescue is currently steaming out to a position towards the Northern end of Fraser Island," a Facebook post on Saturday morning read. "This will be a long day for the crew especially if they have to tow the yacht back." A spokesman said as the sun set the crew still has a number of hours in front of them. "Make no mistake. This is a big job made only easier by good weather. They are currently doing almost 8 knots," he said. "Looks like SPAM & crackers for first course lunch, followed by canned fruit or chocs from rations locker." On Sunday a spokesman said the rescue crew and the yacht came into the Bundaberg Port at about 9.30pm on Saturday evening after more than the 12 hour rescue.